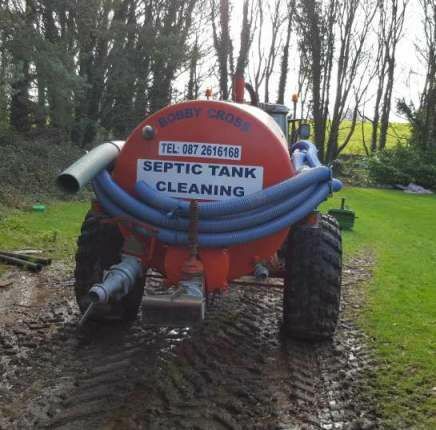 The team at Bobby Cross Septic Tank Cleaning provide a range of drain cleaning services to domestic, commercial and agricultural clients. We are the experts when it comes to drains and even offer a 24 hour emergency service. Whether it is a small job or large project, the team are on hand to ensure that your drains are back to normal as soon as possible. Unblocking drains can be a dirty job, so it is best left to the professionals! Bobby Cross Septic Tank Cleaning only use the latest equipment and technology, so you can rest assured that your drains are in safe hands. All prices are completely transparent, with no hidden extras. If your drains are clogged or blocked, simply call the team at Bobby Cross Septic Tank Cleaning today. We are known for our fast response rate and professional drain cleaning service. We deal with blocked drains, toilets, sinks, pipes, showers and much more. We are known for our extremely competitive prices and will always match or reduce a quote where possible. Our team are highly trained and skilled and hold all certs required to carry out drain cleaning work.